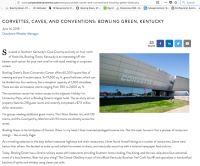 Pop into Bowling Green, an up-and-coming culinary destination known for farm-to-table eateries (like the new Hickory & Oak) and its famed National Corvette Museum, which celebrates its 25th anniversary in 2019. 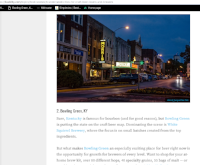 Bowling Green, Kentucky is quintessential small-town America. 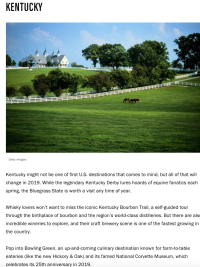 From quirky attractions to a thriving brewery scene, the Kentucky town is worth a visit. And, at a little over an hour’s drive north of Nashville, it’s super convenient for a long weekend. It was here that I realized that there is a crossroad between “big city” living and small-town charm. 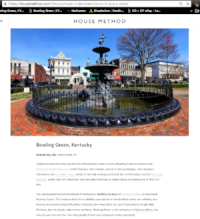 in the middle of it all, one will find Kentucky, and the very best of it in Bowling Green. A town that had once been described to me as “not too small and just big enough” I realised wasn’t perfection, but was pretty darn close. Indeed, looking back on my life thus far, I can say with certainty that the very best of its years started in this town, and for that, I am thankful. But what makes Bowling Green an especially exciting place for beer right now is the opportunity for growth for brewers of every level. Want to shop for your at-home brew kit, over 80 different hops, 40 specialty grains, 55 bags of malt — or anything else you might need to craft your own brew? Blue Holler Brew Supplies will be your home away from home. 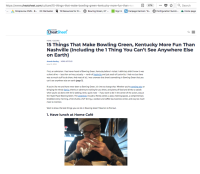 If you’ve seen and done it all in Nashville, consider heading an hour north to Bowling Green, Kentucky. 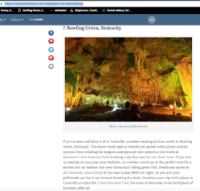 This down-home spot is relaxed yet packed with unique activity options, from trekking the longest underground cave system in the world at Mammoth Cave National Park to taking a zip-line tour at Lost River Cave. Tucked among the rolling green hills of Kentucky’s Cave Country, Bowling Green is home to the National Corvette Museum, which features mint classics, one-of-a-kind prototypes, and racetrack champions; the Lost River Cave, which is the only underground boat tour in Kentucky; and the Kentucky Museum, which has rich collections and education exhibits on state history, including one on the Civil War. 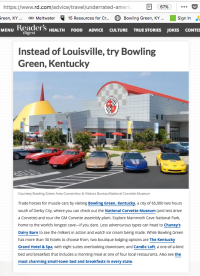 Trade horses for muscle cars by visiting Bowling Green, Kentucky, a city of 65,000 two hours south of Derby City, where you can check out the National Corvette Museum (and test drive a Corvette) and tour the GM Corvette assembly plant. Explore Mammoth Cave National Park, home to the world’s longest cave—if you dare. Less adventurous types can head to Chaney’s Dairy Barn to see the milkers in action and watch ice cream being made. 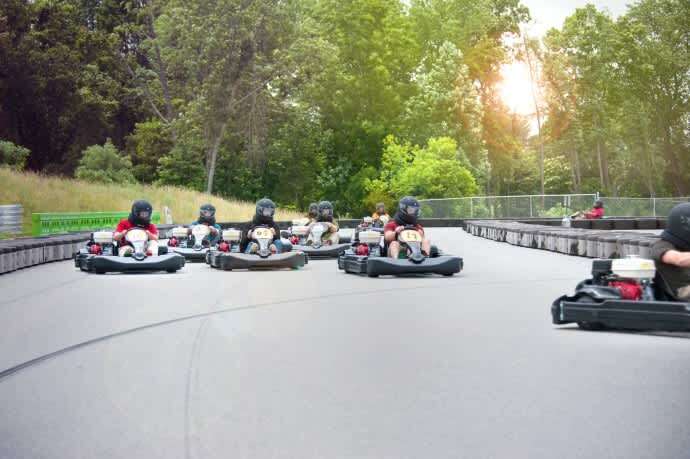 Trip Sav vy: 8 Adventurous Things To Do Near Bowling Green, Ky. If you’re like me and have never been to Bowling Green, it’s time to change that. Whether you’re traveling solo or bringing the whole family, there’s an adventure waiting for you there, and plenty of food and drinks to satisfy when you’re all done with thrill-seeking. 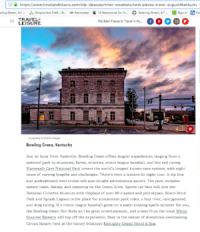 Situated in Southern Kentucky’s Cave Country and only an hour north of Nashville, Bowling Green, Kentucky is an interesting off-the-beaten-path option for your next small or mid-sized meeting or corporate retreat. While Nashville is known as "Music City," there&apos;s a neighboring town that needs to be on every music lover&apos;s radar. 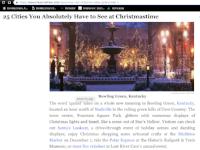 Just a short, one-hour drive from the popular Tennessee capital is Kentucky&apos;s, Bowling Green. Not only is the state&apos;s third largest city home to Western Kentucky University, it also has an up-and-coming music scene you can&apos;t ignore. 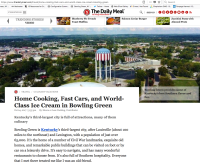 Bowling Green is Kentucky&apos;s third-largest city, after Louisville (about 100 miles to the northeast) and Lexington, with a population of just over 65,000. 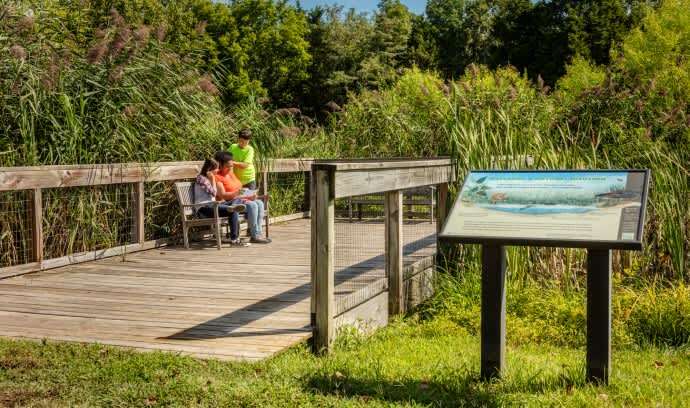 It&apos;s the home of a number of Civil War landmarks, exquisite old homes, and remarkable public buildings that can be visited on foot or by car on a leisurely drive. It&apos;s easy to navigate, and has many wonderful restaurants to choose from. It&apos;s also full of Southern hospitality. Everyone that I met there treated me like I was an old friend. What Will You Write about Us? !